There is only one real Rat Pack Experience! 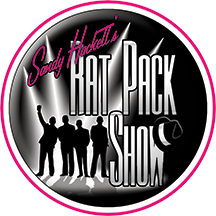 It’s not until you indulge in Hackett Miller’s critically acclaimed production of Sandy Hackett’s RAT PACK SHOW that you begin to realize why Sandy Hackett’s own personal connection to these iconic legends has allowed him to tell this story unlike any other producer or performer. Chosen personally by Joey Bishop, only Sandy Hackett can bring to life that magical moment in time that everyone wanted (and continues to want) access to. Sandy, along with his producing partner, Lisa Dawn Miller, have created a truly authentic, avant-garde theatrical production based on the musical and comedic legacy of the Rat Pack, capturing the relationship, respect, love and timeless laughter of that once-in-a-lifetime moment. Hackett Miller, armed with their passion and the most extraordinary musical and creative team plus the comedic genius synonymous with the name Hackett, Sandy Hackett’s RAT PACK SHOW is the most successful live theatrical production of its kind, touring throughout the U.S. in hundreds of performing arts theatres to great critical acclaim. 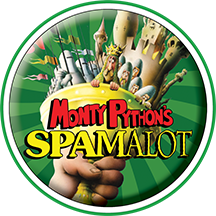 Priding itself on its uniqueness and originality, this show will make you laugh, make you cry and leave you wanting for more! Now audiences can experience this critically acclaimed, hugely entertaining theatrical production (the only show of its kind continually touring throughout the U.S.) which includes exciting new arrangements of classic songs and original, never-before-heard songs written by the late, legendary songwriter, Ron Miller (“For Once In My Life”), father of producer Lisa Dawn Miller, along with recorded voiceovers made exclusively for this show by Sandy Hackett’s father, the late, legendary comedian, Buddy Hackett. She’s practically perfect in every way! Get ready for Mary Poppins to fly over the rooftops of London and into Theatre By The Sea! 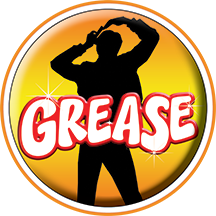 This family musical is the winner of 44 major theatre awards from around the globe! 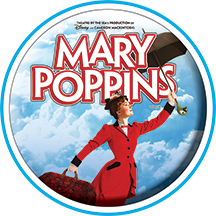 Mary Poppins has captivated audiences for generations, and now the enchanting story, unforgettable songs and breathtaking production numbers will dazzle and delight theatergoers of all ages. Believe in the magic and discover a world where anything can happen if you let it!